The Jockey Club of Canada hosted the 44th Annual Sovereign Awards ceremony on Thursday, April 18, 2019 at Vaughan’s elegant Chateau Le Jardin. We are pleased to announce the 2018 Sovereign Award winners in the order in which they were presented. Bobby Mihalik earned the inaugural award at the School of Media Studies and Information Technology, Humber Institute of Advanced Technology and Advanced Learning. Amanda has been working on the racetrack since she was 10-years-old on the backstretch with her father, trainer Dennis Erwin, walking hots and learning about grooming. She was a teenager when she moved to the stable of successful trainer Mike Keogh, whom she continues to work for today. Nick Noce has always been fond of Woodbine. On July 21, 2018 he finished first of 106 entries in Woodbine’s Mid-Summer Horseplayers Tournament. “I just love Woodbine. I don’t usually miss one of their tournaments,” said Noce, who first began playing contests at Penn National in the 1990s. Nick has always been a racing fan, and the Rochester, New York resident has also worked in the industry for 25 years. He started out at Western Regional Off-Track Betting selling pari-mutuel tickets to Western New York State horseplayers, and eventually worked his way up to Chief Financial Officer. No longer working in the industry Nick, a self-professed “weekend warrior”, still looks for any opportunity to spend a day playing the races. Arriving in Canada at the age of 21, Gustav (Gus) Schickedanz built a successful career in land development as a bricklayer and stonemason. Gus first purchased Canadian-bred yearlings at auction in the 1970s and prepared them to race at his Schonberg Farm in Nobleton, ON. In a matter of years he achieved his first stakes win with Victorious Answer, who also became his foundation broodmare. Gus’ successful homebred Langfuhr, was a multiple graded stakes winner and the 1996 Champion Male Sprinter.As asire, Langfuhr produced six champions including Wando, the seventh winner of the Canadian Triple Crown and 2003 Horse of the Year and Woodcarver, Champion Three-Year-Old Male and winner of the 1999 Queen’s Plate. Gus has bred multiple graded stakes winners including Gal In A Ruckus the only Canadian bred to win the Grade 1 Kentucky Oaks Stakes and Jambalaya, the only Canadian bred to win the Grade 1 Arlington Million Handicap. Gus has also won multiple Sovereign Awards as an owner and breeder and was inducted into the Canadian Horse Racing Hall of Fame in 2009. The late In Return was a winner on the track and a true gem in her breeding career. Her sons Channel Maker and Johnny Bear are both champions and Grade 1 winners. Channel Maker, 2017 Champion Three-Year-Old, won the 2018 Grade 1 Joe Hirsch Turf Classic at Belmont Park and the Grade 2 Bowling Green Stakes at Saratoga. Johnny Bear won the Grade 1 Northern Dancer Stakes in 2018 for the second consecutive year and is the 2017 Champion Turf Male. It has been more than a decade since Canadian racing has had an apprentice jockey as dominant as Kazushi Kimura was in 2018. He learned to ride when he was just six-years-old at his parents training centre in Japan and polished his riding skills before arriving at Woodbine in 2018, winning his first race in June of that year. Other career highlights came with his first stakes victory in the Muskoka Stakes as well as, winning five races in one day on October 12th. Winner: Autumn S. (G2), Play the King S. (G2), Steady Growth S.
Winner: Kathryn Crosby S., CTHS Sales S., Lynn Chouinard Founders Distaff H., Manitoba Matron S., City of Edmonton Distaff H., Distaff S., Winnipeg Sun S., Allowance Optional Claiming, La Verendrye S.
A 10-time winner of this award, Mark Casse had another blockbuster season in 2018 with 106 Canadian winners and an incredible 22 stakes wins. Wonder Gadot stood at the top of her game winning the first two legs of the Canadian Triple Crown. Casse completed the series with Neepawa’s win the Breeder’s Stakes. Also, among Casse’s stakes winners is Lookin to Strike and Shamrock Rose, the winner of the La Lorgnette Stakes who went on to win the Grade 1 Breeders’ Cup Filly and Mare Sprint. Winner:Canadian S. (G2), Starter Optional Claiming, Sunshine Millions Filly and Mare Turf S.
A three-time finalist in this category, Tall Oaks Farm, owned by Ivan Dalos had another stellar season with nine stakes horses and five are 2018 Sovereign Award finalists. Dalos, bred two Grade 1 winners, Channel Maker winner of the 2018 Grade 1 Joe Hirsch Invitational and Johnny Bear, the winner of the 2017 and 2018 Grade 1 Northern Dancer Stakes. Tall Oaks Farm campaigned homebreds Avie’s Flatter, Avie’s Mineshaft and Gamble’s Ghost in 2018. With a record-breaking season in 2018, he won his fourth consecutive Woodbine riding title and reached a career milestone winning his 2,000thrace in September. Da Silva finished the season with 237 wins beating the previous record of 221 wins set in 1991. Among Da Silva’s racing stars is Sovereign Award finalists Avie’s Flatter, Pink Lloyd and Dixie Moon winner of the 2018 Woodbine Oaks. Winner: Kenora S., Vigil S. (G3), Achievement S., New Providence S., Jacques Cartier S.
Breeder: Hill ‘n’ Dale Equine Holdings, Inc. Winner: Bessarabian S. (G2), Sweet Briar Too S.
Winner of this award in 2017, Robert and Mark Krembil and their Chiefswood Stables had their most successful season to date in 2018. Surpassing their 2017 purse earnings by over $300,000, with six stakes wins, they finished on top of the owner’s standings at Woodbine by earnings. Chiefswood Stables and their five stakes winners were all up for 2018 Sovereign Awards including Bold Script 2018 Champion Two-Year-Old Female, Neepawa, Niigon’s Eclipse, Yorkton andmultiple graded stakes winner Tiz a Slam. Bill became hooked on horse racing after his honeymoon trip to Gulfstream Park with his late wife Valerie. Destined for success, Bill set out to purchase top class fillies. His early acquisitions were yearlings that went on to become talented racehorses and successful broodmares. For close to 50 years in the industry, Bill built Windhaven Farms in Caledon, ON and Lexington, KY, into one of the most respected and successful breeding operations in North America. Winning his first Sovereign Award in 1989, Bill continued his success with the 2012 Sovereign Award for Outstanding Breeder. Over the years, Bill owned and bred multiple champions including Conquest Harlanate and Uncaptured. Bill was involved in many industry organizations over the years and was the founder of the Canadian company, Graham Brothers Construction, the builders of Woodbine’s E. P. Taylor Turf Course. He was inducted into the Canadian Horse Racing Hall of Fame in 2014. Bill Graham passed away on January 15, 2019 at the age of 81 and is dearly missed by his family, friends and the North American Thoroughbred community. Breeder: Anderson Farms Ont. Inc. Winner: Prince of Wales S., Queen’s Plate S.
For more information on The Jockey Club of Canada’s 44thAnnual Sovereign Awards Ceremony contact Candice Dixon at 416-675-7756 or jockeyclubcanada@gmail.com. The Jockey Club of Canada is pleased to announce the finalists for the Media Sovereign Award categories for 2017. The judging for the 2017 Media Sovereign Award categories was performed by Professors of the Journalism Program at the School of Media Studies & Information Technology, Humber Institute of Technology & Advanced Learning, Toronto, Ontario, Canada. The Jockey Club of Canada will announce the winners of each Sovereign Award at the 43rd Annual Awards Ceremony to honour Canada’s Champions of 2017 on Thursday, April 19, 2018. Tickets to the 43rd Annual Sovereign Awards Ceremony are $250 each, with tables of ten discounted to $2000. Early-Bird tickets are also available for a discounted price of $225 until March 15, 2018. You can purchase tickets online at http://jockeyclubcanada.com/2017-sovereign-awards/ or by contacting The Jockey Club of Canada by email jockeyclubcanada@gmail.com or by phone 416-675-7756. The Jockey Club of Canada is pleased to announce the winners of three Sovereign Awards, the Groom Award, the Handicapper Award and The Special Sovereign Award for 2017. The 2017 Groom Award will go to Alfredo Ramos. Alfredo was born on November 10, 1953 in Nicaragua. He came to Canada in the late 1980s and began working with horses in 1989. He has since worked for Rod Wright, Rita Schnitzler, Tino and Kevin Attard, and has been employed by Hall of Fame trainer Roger Attfield since 2008. The Sovereign Handicapper Award has been won by Michael Eisen. The former Microsoft Canada Chief Legal Officer, Michael won Woodbine’s 2017 Player of the Year Award, securing him this year’s Sovereign Handicapper of the Year. Finally, the last award winner to be announced before the awards night, the Special Sovereign Award winner is Sam Lima. Nominated by the Jockey Club of Canada’s Stewards, the Special Sovereign Award recognizes someone who has significantly contributed to the horse racing industry in Canada. Sam has been a dedicated horseman, HBPA official and a driving force of the Toronto Thoroughbred Racing Club for countless decades. The Jockey Club of Canada will celebrate the winners of each Sovereign Award at the 43rd Annual Awards Ceremony to honour Canada’s Champions of 2017 on Thursday, April 19, 2018. You can purchase tickets online at http://jockeyclubcanada.com/2017-sovereign-awards/ or by contacting The Jockey Club of Canada by email at jockeyclubcanada@gmail.com or by phone at 416-675-7756. For more information contact Camille Casse at 416-675-7756 or jockeyclubcanada@gmail.com. The Jockey Club of Canada will host the 43rd Annual Sovereign Awards Ceremony to honour Canada’s Champions of 2017 at one of Toronto’s premier venues, The Palais Royal, located at 1601 Lake Shore Blvd West. The night will take place Thursday, April 19, 2018, at 5:30 p.m. and you’re invited. Tickets to the 43rd Annual Sovereign Awards Ceremony are $250 each, with tables of ten discounted to $2000. Early-Bird tickets are also available for a discounted price of $225 until March 15, 2018. Tickets are available for purchase online at http://jockeyclubcanada.com/2017-sovereign-awards/. You can also purchase program ad space and tickets by contacting The Jockey Club of Canada at 416-675-7756 or by email jockeyclubcanada@gmail.com. The Jockey Club of Canada will host the 43rd Annual Sovereign Awards Ceremony to honour Canada’s Champions of 2017 on Thursday, April 19, 2018, and you’re invited. Tickets to the 43rd Annual Sovereign Awards Ceremony are $250 each, with table of ten discounted to $200. Early-Bird tickets are also available for a discounted price of $225 until March 15, 2018. To be eligible to receive a Sovereign Award in each divisional category a horse must have raced in Canada at least three times for all horses three-years-old and up and two times for all two-year-olds. For the Owner, Trainer, Breeder, Jockey and Apprentice Jockey categories, a minimum of 10 starts in Canada must be made. 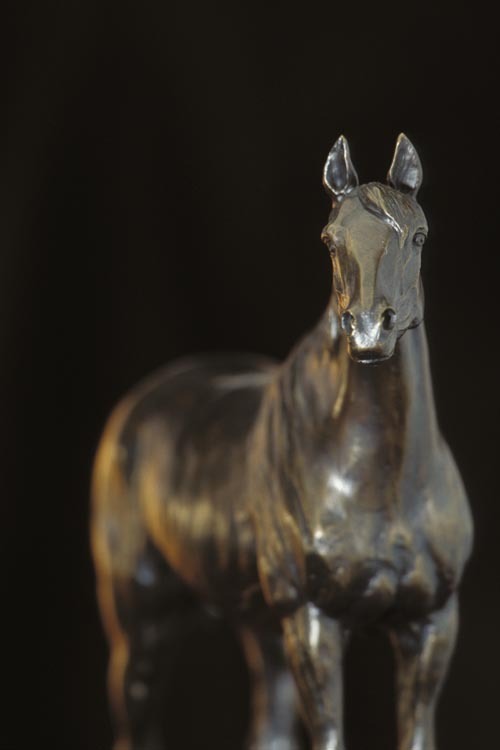 The Outstanding Broodmare Award is a lifetime achievement award. The mare must have a Canadian-bred Stakes horse (by, definition, the horse must have come first, second or third in a Stakes race) in the current year and must have produced a different Canadian-bred stakes horse in a previous year. The Sovereign Awards has also transitioned to three finalists, excluding categories that included ties, for 2017. The finalists for 2017 Horse of the Year will be announced on the night of awards ceremony. The judging for the 2017 Media Sovereign Award categories will be performed by the Journalism Professors at Humber, School of Media Studies & Information Technology, in Toronto, Ontario. The three finalists in each of the three media categories will be announced on or before March 1, 2018. For more information on The Jockey Club of Canada’s annual Sovereign Awards Ceremony contact Camille Casse at 416-675-7756 or jockeyclubcanada@gmail.com. The Jockey Club of Canada’s Graded Stakes Committee held its annual review of the Graded and Listed Stakes in Canada and will have several upgrades for 2018. The Graded Stakes Committee meeting was conducted by Committee Chair, Ross McKague and accompanied by all Committee Members as well as the attending race advisors, Jason Teague, Stuart Slagle, Steve Lym, Tim Lawson, Paul Ryneveld and Tom Cosgrove. Along with the upgrades, the Speed to Spare Stakes did not receive sufficient RQS numbers in 2017 and therefore will lose its Black-Type status in 2018, disqualifying it from Listed Status. 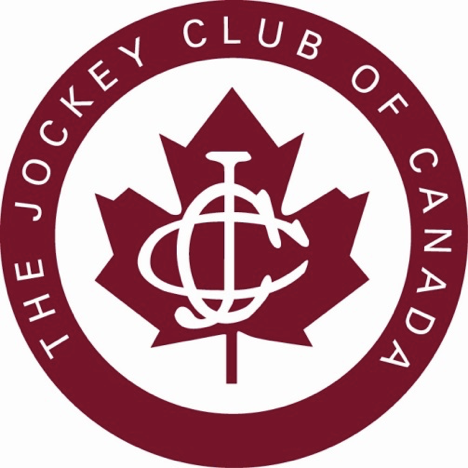 The Jockey Club of Canada Graded Stakes Committee evaluates and reviews the Graded Stakes in Canada annually and determines whether races should be upgraded, downgraded or remain the same. The Committee bases their decisions on the cumulative NARC ratings for five consecutive years. The Jockey Club of Canada is to promote and maintain a high standard for Thoroughbred racing and breeding in Canada at a level which is recognized internationally for the benefit of all those interested in the sport including the general public by operations and services such as, but not limited to: evaluating all Graded, Listed and Black-type races in Canada annually; conducting the annual Sovereign Awards for outstanding achievement in Thoroughbred racing and breeding in Canada; maintaining a field office in Canada for the Jockey Club of the United States and the Jockey Club Registry Service; and by representing Canada as a Member of the IFHA. The Jockey Club of Canada is pleased to announce that Camille Casse will take over as General Manager of The Jockey Club of Canada, effective immediately. 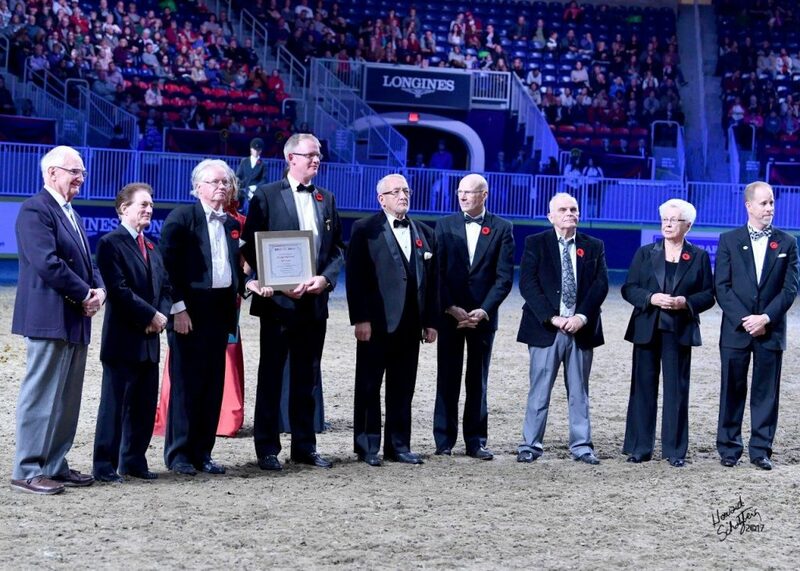 Under the lights and glamour of the Royal Horse Show, an exhibition celebrating the racing industry’s milestone anniversary included a combination of video, current and retired racehorses, Canadian Horse Racing Hall of Fame members and a special presentation to the president of the RAWF. Three thoroughbreds and four Standardbreds completed an eight-lap commemorative mile while iconic race caller Dan Loiselle provided biographies about each horse’s race and post-race career, highlighting the versatility of the breeds and the importance of re-purposing once race careers conclude. 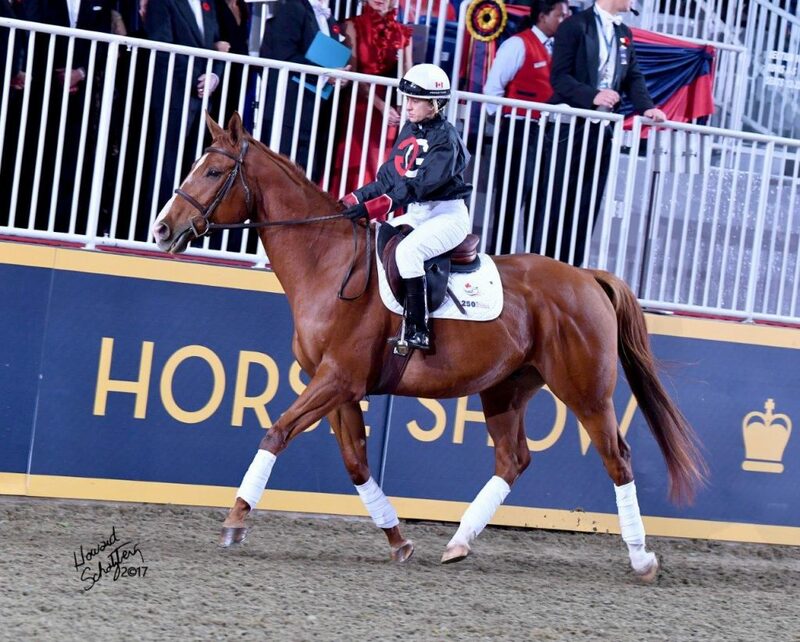 Post-race activities ranged from show horse careers, including the 2017 Royal, for thoroughbreds, Highland Bay, Man Cave and Maple Tints competing in Thoroughbred confirmation and under saddle classes; and current road horse competitor Standardbred Rachel Lauren; pacer Spago Hall currently engaged with OHHA’s Hands On Horses/Wanna Drive program, providing opportunities for race track patrons to experience what it is like to ride behind a race horse; Calamar and Debi O’Brien-Moran, both familiar faces at tracks leading post parades; and trotter Lets Leavem who is still an active racing participant in both RUS and in harness for owner Sarah Town, including a win and new season mark at Flamboro the night following his trip to the Royal. Riders and drivers presenting the horses included Sheena Ryan, 2014 Sovereign Award winner as Apprentice Jockey, and Ron Waples, member of both the Canadian Horse Racing Hall of Fame and the US Harness Racing Hall of Fame. The performance concluded with introductions of Canadian Horse Racing Hall of Fame members highlighting all aspects of the racing industry: harness driver Bill O’Donnell, jockey Sandy Hawley, builder Lou Cauz, communicators Bill Galvin and Jim Bannon, Mrs. Lenore Armstrong, wife of the late H. Charles Armstrong, representing Armstrong Brothers and Mark Samuel, representing Sam-Son Farms. CHRHF president John Stapleton, presented a certificate acknowledging the Royal’s participation in the 250th celebrations along with a special limited edition copy of the history paper on pre-confederation horse racing in Canada, commissioned as a 250th anniversary initiative by the Canadian Horse Racing Hall of Fame, to Royal Agricultural Winter Fair president Andrew McKee. Spearheaded by the Canadian Horse Racing Hall of Fame, funding for the 250th Anniversary of Horse Racing in Canada initiatives has been provided by: Standardbred Canada, Canadian Thoroughbred Horse Society, Canadian Horse Racing Hall of Fame, HBPA Ontario, Central Ontario Standardbred Association, Ontario Harness Horse Association, Ontario Racing, OLG, Alberta Standardbred Horse Association, Harness Racing BC, The Jockey Club as well as individual donations. The Jockey Club of Canada is now accepting submissions for the 2017 Sovereign Award Media Categories for Outstanding Writing, Photograph and Digital Audio/Visual and Broadcast. To qualify for a 2017 Sovereign Award, the submissions must have appeared in a recognized medium between the dates of January 1, 2017 and December 31, 2017. Submissions must be received by The Jockey Club of Canada office by email no later than December 31, 2017 by 11:59 p.m. (EST). Submissions received after the deadline will not be accepted. The nominees for each of the 2017 Media Category Awards will be announced in February, 2018, and the winner in each category will be announced at the annual Sovereign Awards Ceremony in Toronto, Ontario this April. For complete Sovereign Award Media Category Rules, Submission Guidelines and Deadlines CLICK HERE.